Nokia announced several devices at Mobile World Congress on 24th February, mainly targeting the emerging market. Devices like Asha 220, Asha 230 in the Asha segment and Nokia X, Nokia X+ and Nokia XL in the Android sedment. Nokia in their words say they seek to cater to user needs by bringing them more options when it comes to smartphone choice and application ecosystems. 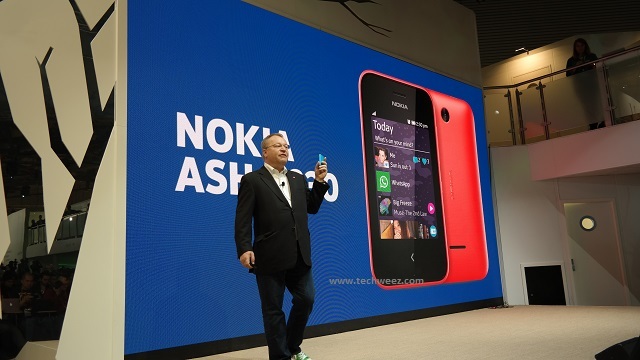 While announcing the new Asha phones, Stephen Elop, Nokia CEO announced that Asha platform will be getting an overhaul come April that will also see the below features and applications added. Something worthy of note is that Nokia put in Fast Lane in their Android device with Live tiles support on them. This naturally makes it an intersection between the Asha platform devices and the Windows Phone powered Lumia series. Nokia now has the three platforms; Asha, Android and Windows Phone to cater for the various segments in the market. In the presentation, Android apps featured a lot and this gives you the feeling that Nokia really wanted to get all the apps that hit the top as soon as possible to Nokia phone users while not losing market-share. Asha platform will remain the entry level platform, a position that stands quite challenged due to the entry price for the more intuitive and better developed Nokia X series Android powered smartphones. But Hans Henrik Lund – SVP, Smart Devices Product Marketing is of a different opinion, says that Asha platform sure does a strong position in the market adding that different users have different preferences thus making the three platforms compliment each other. “I believe X will do more harm on the competition than on our internal portfolio, which is what it’s designed for, so it will be successful, I’m sure,” Hans added when I asked him whether Nokia X category might get overly successfully and eat up into the Asha business. Nokia has put in so much work on the Asha platform and I believe they will leverage all it can offer to get in as much consumers as they can get in the bottom of the pyramid while driving them up to other categories; X and Lumia ranges when their user habits change. You know, when they get exposed to better technologies they learn to do more with their smartphones.